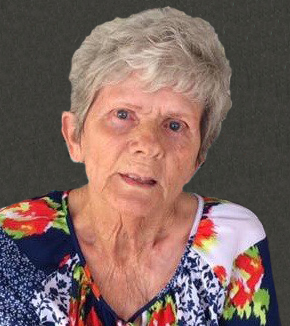 Margaret Elaine Monroe, 75, of Silver City passed away on Sunday, April 14, 2019 at Gila Regional Medical Center. While deeply saddened, we rejoice that our sweet Margaret Elaine Monroe has walked into the presence of her Savior and is no longer in pain. Visitation will take place on Thursday, April 18, 2019 from ten-thirty to eleven o’clock in the morning at Baca’s Funeral Chapels. A celebration of her life and Funeral Service will begin at eleven o’clock in the morning. Concluding services and burial will follow at Memory Lane Cemetery. Officiating will be Chaplain Gary Monroe. Serving as pallbearers are Ethan Ortiz, Sonny Littleton, Terrel Littleton, Jackie Littleton, Roy Littleton and Wayne Littleton. Serving as honorary pallbearers will be Jimmy Littleton, Gary Littleton and Nathan Monroe. Margaret was the beloved mother of Hank, Karen and Gary (married to Cheryl). She leaves behind her beautiful grandchildren Nikki, Ethan (married to Trisha), Natalie and Nathan and her sweet great-grandchildren Alicia, Lily, Mia, Joshua and Ezra. She leaves behind one brother, Grady (married to Sandy). She leaves behind numerous nieces and nephews and dear friends. She was preceded in death by her parents, her brother James and her brother Bud.